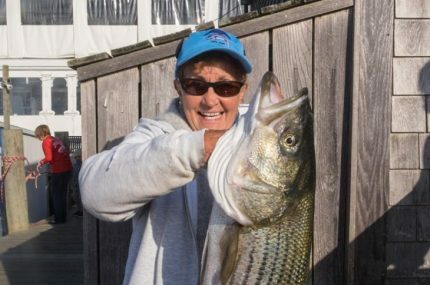 Every fall, Martha’s Vineyard is seized by fish fever as one of the East Coast’s best known saltwater fishing tournaments gets underway. 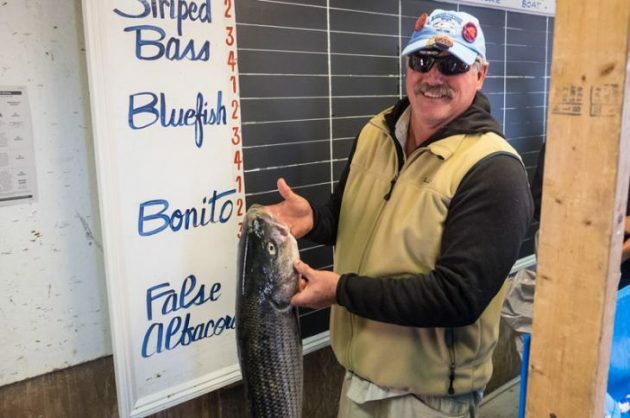 Started in 1946 as a promotional event and run since 1987 by a non-profit organization composed largely of local fishermen, the Martha’s Vineyard Striped Bass and Bluefish Derby attracts anglers from all over the world. 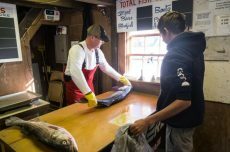 At the weigh-in shack at the Edgartown Yacht Club, crowds gather twice a day, from 8 a.m. to 10 a.m. and 8 p.m. to 10 p.m., as the daily and weekly leaderboards are updated. At the end of the tournament, the top fishermen in eight divisions have a chance at grand prizes, including a truck and a boat. 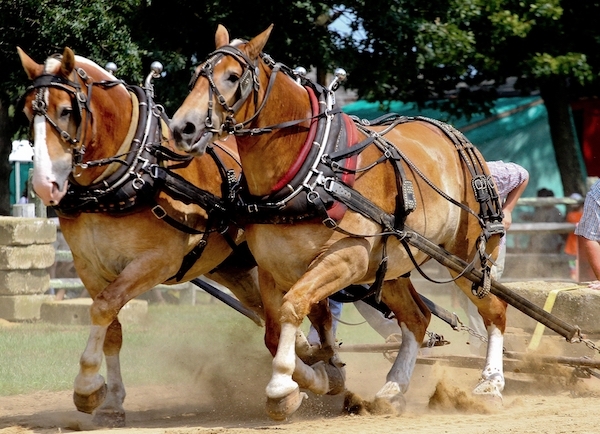 For a detailed history of the Derby, visit the Vineyard Gazette’s Time Machine. 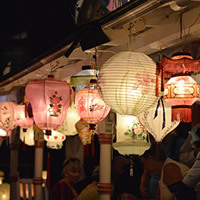 Visit the Gazette’s Derby site (and check out the print paper) during the event for updated leader listings, weather forecasts, photos and more. Visit here for a listing of Martha’s Vineyard fishing charters. Photos by Mark Alan Lovewell.